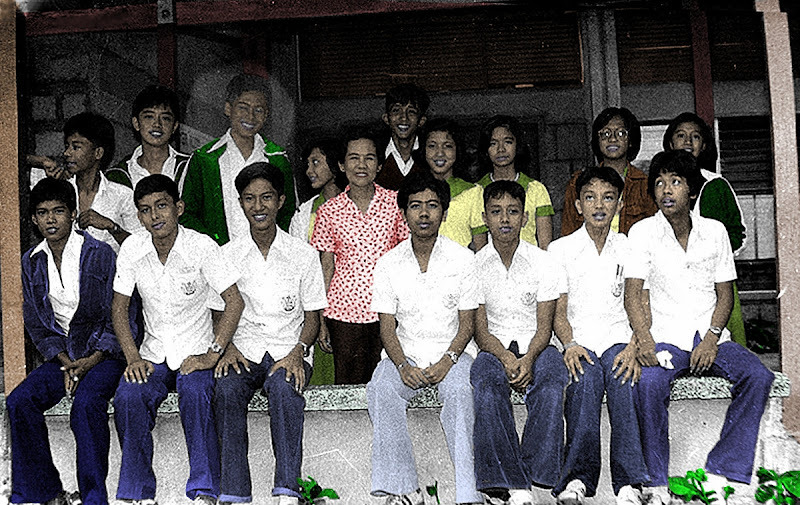 I recognise some of the alumni/ae in the picture because they were schoolmates of my younger brother Roy, who was from the High School Class of 1980. 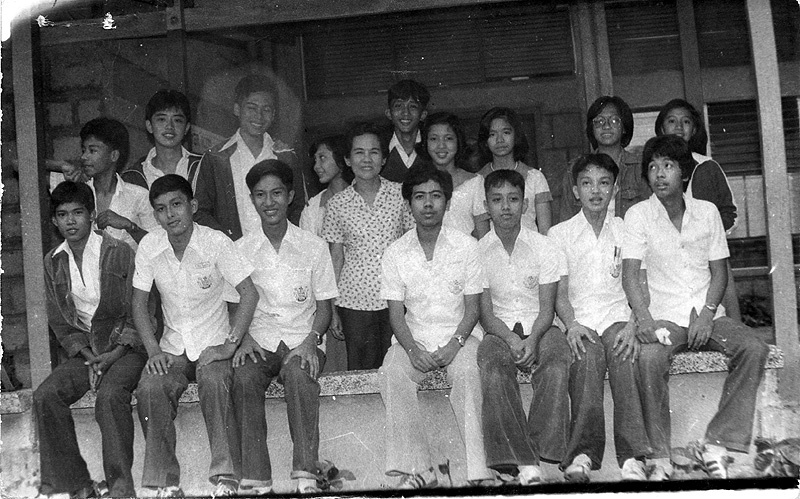 I am guessing that this was a Science student organisation of some sort because of the presence of the late Ms. Sofronia Makalinao, who used to be a Chemistry teacher. Just a bit of trivia about the late Ms. Makalinao, although she became my colleague when I returned to DLSL to teach in 1982, I never had her for a teacher back when I myself was in high school from 1971-75. You may notice when you look at the treated version below that I did running repairs to the original.